This is God’s beautiful plan. Imagine older women investing themselves in the lives of younger women, blessing whole families, and churches. Imagine young wives, moms, and singles gaining wisdom and encouragement from women who’ve been there and have found God’s ways to be true and good. 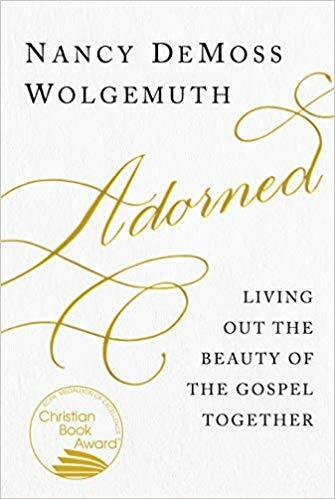 Imagine all women—from older women to young girls—living out His transforming gospel together, growing the entire body of Christ to be more beautiful. My Thoughts: This was such an insightful read. The author Nancy DeMoss Wolgemuth has taken the reader through the book of Titus. In this book women are taught God's plan on older women teaching the younger;she deals with many issues that many women struggle with. This book is an encouragement for women. It covers all areas for women young and old. The author covers topics of marriage, the working wife, slander and gossip. She even explains the dreaded submission in great lengths. This is a book that all women should read, both young and old will benefit from it. This book encouraged me greatly. Lighthouses have long been the symbol of salvation, warning sailors away from dangerous rocks and shallow waters. Along the Great Lakes, America’s inland seas, lighthouses played a vital role in the growth of the nation. They shepherded settlers traveling by water to places that had no roads. These beacons of light required constant tending even in remote and often dangerous places. Brave men and women battled the elements and loneliness to keep the lights shining. Their sacrifice kept goods and immigrants moving. 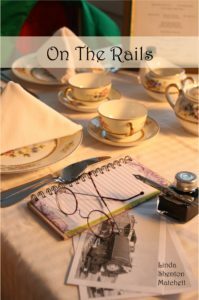 Seven romances set between 1883 and 1911 bring hope to these lonely keepers and love to weary hearts. The Last Memory by Kathleen Rouser 1899—Mackinac Point Lighthouse Natalie Brooks loses her past to amnesia, and Cal Waterson, the lighthouse keeper who rescues her, didn’t bargain on risking his heart—when her past might change everything. My Thoughts: This is a collection of short stories "novellas" about lighthouses and their keepers. The authors have given a precise account of the lives that these people led while helping to save the lives of others. The hardships they faced, loneliness, living in a remote area and dealing with the aftermath of shipwrecks. The stories will draw the reader in and will fall in love with the heroines in the stories. I think of all the stories my favorites were Rose and Natalie. Rose being strong and independent, Natalie has a wonderful outlook on life after losing her memory. The reader will love all the women in the stories, these are the two that I identified with the most. Living on a small island has given me a love for the lighthouse, and I have visited many on the Eastern Shore. That's one of the reasons I enjoyed these stories and the characters in them. Whenever you visit a lighthouse you try to envision the people that were once living there, this book gives us a wonderful look into some of those lives. The readers will also learn how important the lighthouse is to people and the ships. It is fascinating to learn the working day of the lighthouse keepers. It was pleasant reading that the writers did make sure that the word of God was written into the stories. God is our lighthouse and we must always remember to look toward the light. I think that everyone will enjoy this novella. 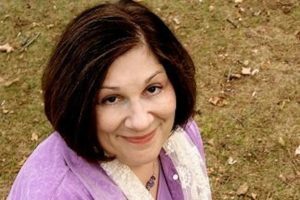 Kathleen Rouser is the multi-published author of the 2017 Bookvana Award winner, Rumors and Promises, her first novel about the people of fictional Stone Creek, Michigan, and its sequel, Secrets and Wishes. 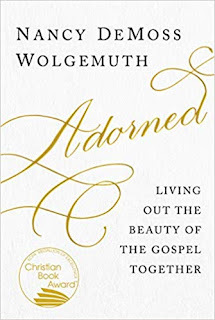 She is a longtime member in good standing of American Christian Fiction Writers. She longs to create characters who resonate with readers who realize their need for the touch God’s grace and hope in their everyday lives. 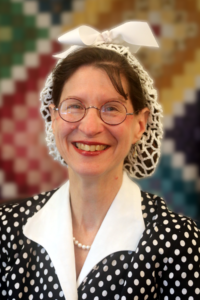 A former homeschool instructor, mild-mannered dental assistant, and current Community Bible Study kids’ teacher, she lives in Michigan with her hero and husband of thirty-some years, and the sassy tail-less cat who found a home in their empty nest. Connect with Kathleen on her website at kathleenrouser.com, on Facebook at https://www.facebook.com/kathleenerouser/, and on Twitter @KathleenRouser. When author Pegg Thomas approached me about writing a novella for The Great Lakes Lighthouse Brides book proposal I couldn’t refuse the chance. After all, I am a lifelong resident of Michigan, which is the Great Lakes State! Plus, I had a favorite lighthouse in mind, though I briefly considered others. For over 20 years we have ventured “up north” for a week-long summer vacation on Lake Michigan, most of them spent in the same cottage. Since the cottage is almost 20 miles west of Mackinaw City, I’ve made the annual pilgrimage to the Old Mackinac Point Lighthouse since they reopened with exhibits in 2004. Part of the first floor has since been restored to the middle-class furnishings of 1910 when George Marshall and his family resided there. Two generations of Marshalls manned the lighthouse and George Marshall’s brother, Charles, was at one time the assistant lighthouse keeper. There is also an area of the lighthouse where they display maps, photographs and other information, chronicling the history of the lighthouse built on the Straits of Mackinac in 1892. Fresnel lenses, like those used in the tower, and interactive displays are also included. Did you know for several years, the fourth-order Fresnel lens flashed a red light? I’d always pictured a yellow light! A tour guide, dressed in period clothing, such as a U.S. Lighthouse Service uniform, will take you up the tall, winding metal staircase to enjoy the view. My many visits, whether they’ve included the long climb to the tower or not, have intrigued me. I’d often thought that someday I would like to write a fictional story about this lighthouse. Built with Cream City brick, in a Norman architectural style, the building reminds me of a castle. 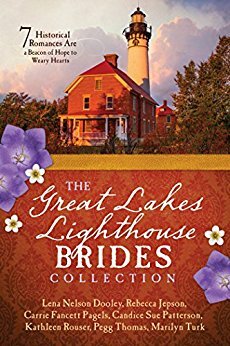 Perhaps that’s why I chose to have the lighthouse keeper hero, Cal Waterson, rescue Natalie Brooks, a lone shipwreck survivor. She is the proverbial damsel in distress. Yet, despite her amnesia she finds a new strength in her faith to face an unknown future and in a sense rescues Cal and his daughter. Returning to the lighthouse last year, I did climb to the tower to examine the view my characters might have had. Of course, I had to imagine what it would have been like without the Mackinac Bridge, which has joined our upper and lower peninsulas since 1957. It’s a spectacular view, where you can also see Mackinac Island, home of the famous Grand Hotel, which was already there in 1899, when my story takes place. Not only do lighthouses spark so many ideas of history and romance, they are so symbolic— as guiding lights—and beacons of hope to lead through treacherous waters, much like our Savior, Jesus Christ, is the true Light who leads us to the Father. Indeed, Old Mackinac Point Lighthouse played a strategic part in guiding ships through the dangers of the straits. I look forward to visiting this beautiful historic landmark again and hope my readers will be drawn into an intriguing visit to the lighthouse through my story, The Last Memory. 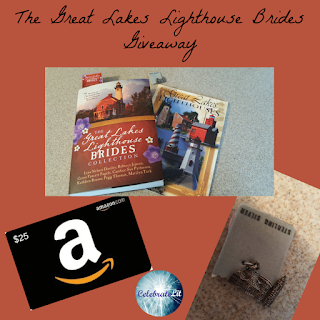 To celebrate her tour, Kathy is giving away a grand prize of a $25 Amazon gift card, a signed copy of The Great Lakes Lighthouse Brides Collection, a sterling silver charm of the Old Mackinac Point Lighthouse, and a souvenir pictorial book of some of the Great Lakes lighthouse!! Synopsis: C.S. Lewis excelled at plumbing the depths of the human heart, both the good and the bad, the beautiful and the corrupt. 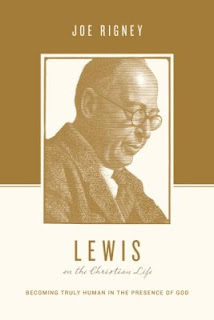 From science fiction and fantasy to essays, letters, and works of apologetics, Lewis has offered a wealth of insight into how to live the Christian life. In this book, Rigney explores the center of Lewis’s vision for the Christian life—the personal encounter between the human self and the living God. In prayer, in the church, in the imagination, in our natural loves, in our pleasures and our sorrows, God brings us into his presence so that we can become fully human: alive, free, and whole, transformed into the image of Jesus Christ. My Thoughts: This is a book that takes a look into the life of C.S. Lewis; author of many books that readers have come to love. This is a wonderful book for those who enjoy reading C.S. Lewis' books as it gives an idea to the reader the thoughts and insights in his writings. This is a good book for those who want to become acquainted with Mr. Lewis and will certainly want to go back and read his books again. Iam certain that readers will enjoy this book. My Thoughts: Suicide and depression are not topics that everyone wants to hear about. But this is a novel about overcoming with the help of Christian friends and most importantly, God. 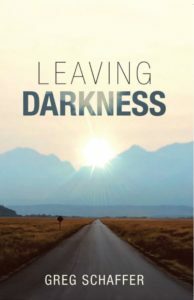 The author has given the reader hope that one can "leave the darkness" of depression and open the door for God to come in. This is a novel that deals with forgiveness; not just asking forgiveness for our wrongs, but forgiving ourselves and letting the past go. It is a story of not to set your treasures here on earth. The author has done an excellent job showing us the importance of family, relationships, and truth. I enjoyed this novel, one that has so many truths in it. It is wonderful that the author gives hope to those in need with the groups that are out there to help them and making them aware in this novel. This is an enjoyable read for anyone. Be sure to comment on the blog stops for nine extra entries into the giveaway! 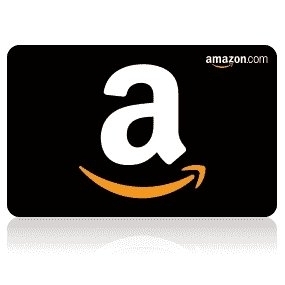 Click the link the below to enter. My Thoughts: I have to say that this book really touched me in many ways. This is a story about not giving up; having the courage to do something out of your comfort zone. It took courage for Katherine to head to Arizona and begin a new life and career plans. It is also an amazing book about forgiveness and dealing with pride. Many of us deal with pride in various different forms and like Katherine, don't realize it until someone or God Himself may point them out. This book is also very informative and teaches a bit of history of the Harvey Girls and of the peerios life of that era, as well as a few life lessons. I do appreciate that the author gives a clear message of salvation and uses scripture in the novel. The characters are easy to identify with and the storyline is fast paced. This is an easy and enjoyable read. My husband and I were fortunate to be able to take a trip to Arizona several years ago. 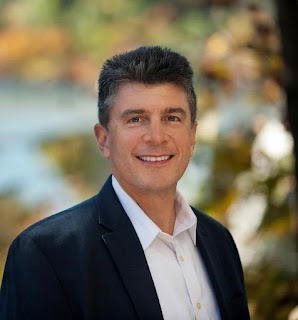 Having been born and raised on the east coast, I was enamored with the distinctive beauty of the state, from the saguaro cacti of Phoenix and red rocks of Sedona to the volcanic landscape of Flagstaff and multi-colored bands of the Grand Canyon. But what intrigued me just as much as the area’s beauty were the stories about the women who migrated to the state to work for the Fred Harvey Company. Upon our arrival at the Grand Canyon we came upon the El Tovar Hotel, one of the few remaining Harvey Houses. We were given a bit of literature explaining the history of Mr. Harvey and his restaurants, and the more I read, the more I wanted to know. As it turns in the late 1800s, food was not available to travelers riding the railroad lines, so when the trains made extended stops, passengers would get off and eat at the restaurants located near the stations. From all reports, the dining experience was sketchy at best, with frequent stories of indigestion and food poisoning. Enter English immigrant and restauranteur, Fred Harvey. Securing a contract with the Atchison, Topeka & Santa Fe Railroad, he began with two facilities. However, finding reliable employees proved to be difficult. A high percentage of the employees (all men) would use their paycheck to purchase liquor and then did not return to work for several days. At his wits end, Fred decided to hire women to act as his waitresses, but the concept was a tough sell. The only women in the hospitality industry worked in saloons and had scandalous reputations. Fred set up dormitories overseen by a House Mothers and implemented a set of rules that included curfews, restrictions on dating, and dress codes. He ran advertisements in the large east coast newspapers. It was not long before candidates came knocking. The reasons they gave for wanting to be a Harvey Girl were as diverse as the girls. Some were looking for adventure, others needed to help fill the family coffers, while a number of them needed to get out of difficult situations ranging from domestic abuse to failed engagements. Thanks to Fred and his restaurants, most of the 100,000 Harvey Girls found financial stability, confidence, happiness, and/or love. It is my hope that On The Rails commemorates these gals and their intrepid spirits. Synopsis: See your surroundings with fresh eyes and renewed energy. 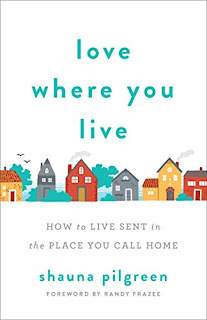 Through her personal experience and stories of God's redemptive work in communities and neighborhoods, Shauna Pilgreen gives readers the skills and guidance they need to live out the gospel in the places they call home. My Thoughts: This book is a good reminder that we all need to get out of our comfort zones. The author reminds us that when we do get too comfortable we sometimes tend to get dissatisfied with life, and we tend to stop thinking about others. We also lose our focus on what God has for us. 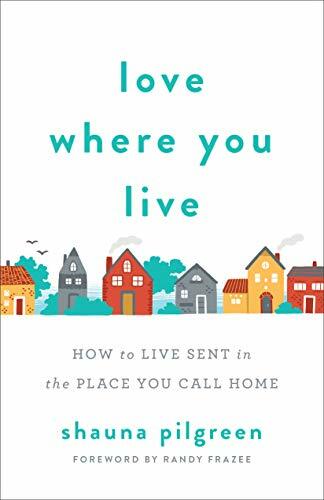 In "Loving Where You Live" the author teaches us to step out of that comfort zone, learn your neighborhood and your neighbors. In doing this you will learn that where you are is a great place to be; that there is a purpose and a reason to be where you are. This was an interesting book that the reader can learn from.